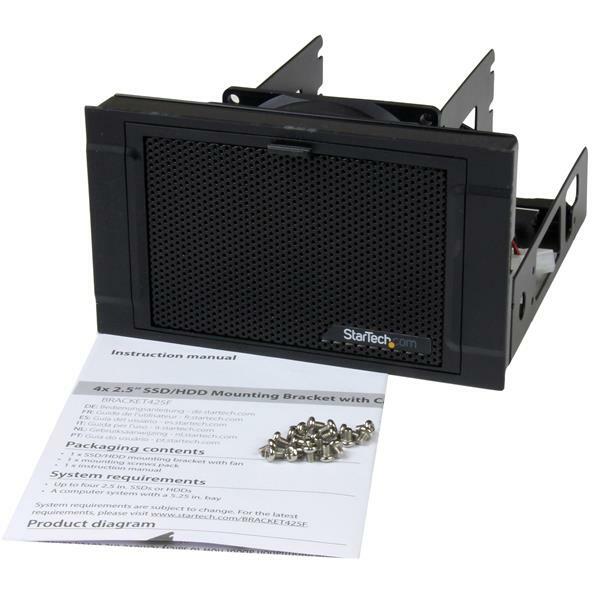 Increase the performance and data storage capacity of your desktop computer or enhance your server room storage, with this 4-drive mounting bracket kit for 2.5” solid-state drives or hard drives. This drive-mounting bracket lets you add four 2.5” SSDs or HDDs into two 5.25” front bays of your computer or server, allowing you to enhance your data storage capacity. The mounting brackets supports a wide range of 2.5” SSDs/HDDs from 5 to 15 mm in height. A large built-in fan keeps air moving to dissipate heat build-up, and ensure optimum operating temperatures. Protecting against excessive heat build-up maximizes the life of your drives. 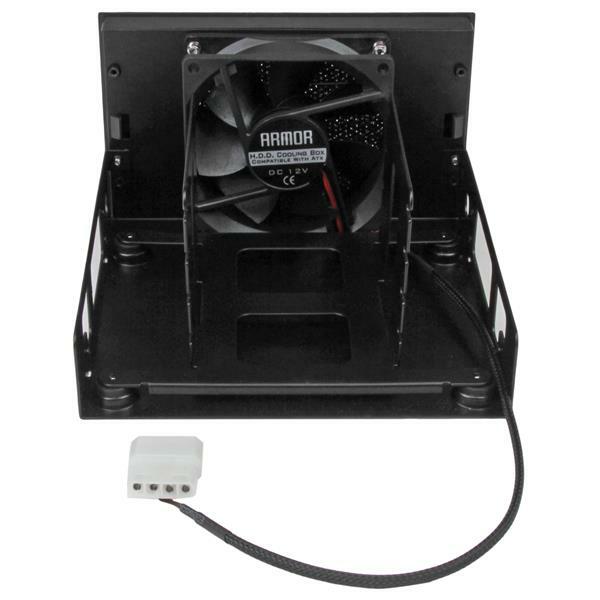 The fan also features a dust filter making the mounting bracket ideal for industrial or corporate environments. Engineered with steel framing, the mounting bracket is designed for dependable performance and durability. 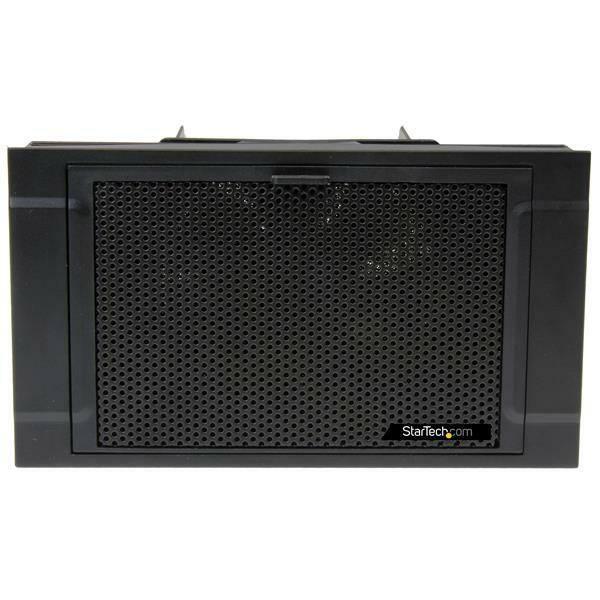 BRACKET425F is backed by a StarTech.com 2-year warranty and free lifetime technical support. Connect a 2.5in IDE laptop hard drive to an IDE-equipped desktop computer.